Time to revisit one of my favorite maps, ye olde winde map. Long-time readers saw it about two years ago but if you’re relatively new to this blog, you might have missed it. It’s almost a work of art, as you can see in the gallery. You can even buy prints of the maps from significant dates or events. But for now, just click to see the live map in action (you can zoom in tighter to see more cities). The screenshot is from about 4:30 pm MDT today. I was drawn to the map today because my thermometer topped out at 79°, with winds in the 30-40 mph range. 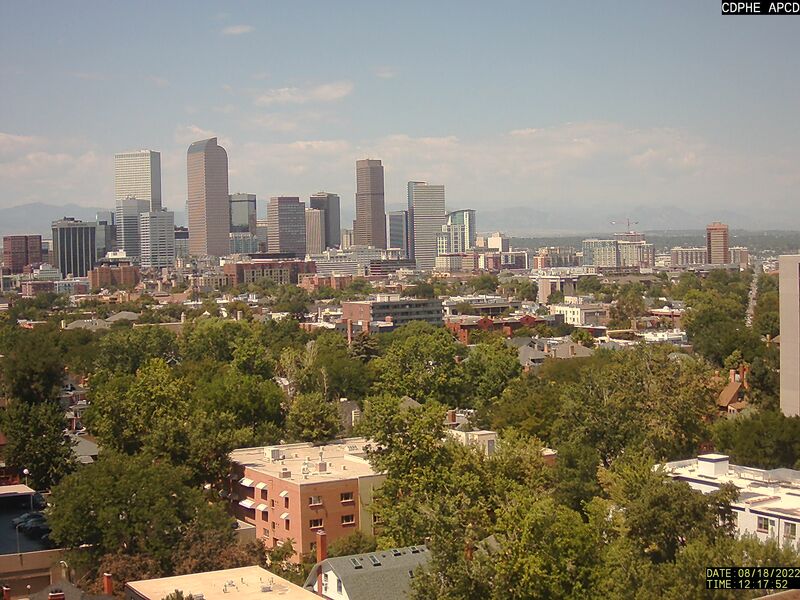 Denver proper hit 80° and broke the all-time record for the month of November. But a front is rolling in from the northwest and there are winter storm warnings out for the mountains. High tomorrow is predicted to be only about 42° with maybe a trace of snow here late in the day and then back into the 60s on Sunday. That’s all. Just wanted to mention the map (I have a thing about maps, in case you hadn’t noticed). Keep? What? Our weather? I love our weather. So much nicer than Oklahoma, overall. Very good. I too like maps and this is a good one. 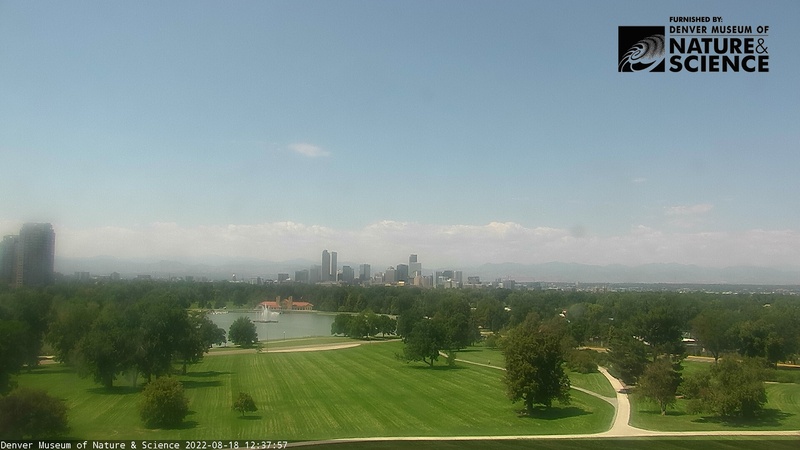 Right now it looks like Denver is being assailed by wind from all directions! The mountain immediately to our west create all kinds of interesting wind and weather patterns, as you might imagine. Weather maps: ambianunculii? [I thought about weather as ambiance, then I created that word, the one followed by a question mark]. 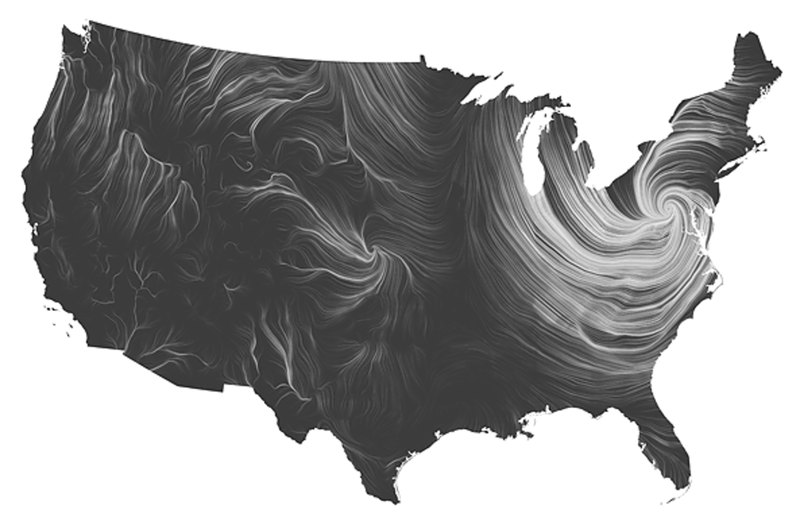 Powerful stuff, those weather maps. VERY POWERFUL. Weather certainly provides ambiance. But don’t ask me to pronounce your new word. Wonderful! This will be useful once the cold, wet winds start to blow on the west coast. The maps are actually an art project that utilizes scientific data. Art or science, either way it’s interesting. This week will be the first big rush to the slopes. Between the local skiers and the tourists, it’s best to just avoid I-70 west until spring. Is there any time now that I-70 and the roads to Bouder/Estes Park are not jammed? We see the cams and are discouraged. The local wildlife must feel the same way – even winter doesn’t keep them away! Hwy 36 up to Boulder is almost always congested, since it’s the only direct route from the Denver metro. Try to go around on back roads and you’ll end up spending just as much time. I-70 is pretty good except during ski season, when it turns into a parking lot on Friday and Sunday evenings. (Even if I loved to ski, I wouldn’t brave that traffic.) CDOT ties itself in knots trying to alleviate the problem, but the terrain rules. There’s really only the one corridor through the mountains from Denver to most of the ski resorts. Wealthy folks can fly into Aspen, and the ski train to Winter Park has been started up again. But those are about the only alternatives. The roads to Estes aren’t bad once you get past/through Boulder. Or just skip it and go on up to Longmont before you turn west. Of course rush hour(s) on any day is always a mess. I always like Longmont – in fact on list of possibilities although family is in Ft Collins. Really sad about the traffic – there isn’t much of anything that can be done. Takes the “going to the mountains” have much less holiday cheering. I like Longmont a lot. Maybe because my sister lived there for 15 (?) or so years before moving back to OKC. And I did look at some houses up there before I bought this one (so tempting to be that close to Estes). I’m only about a mile from my son now, though, and it seemed the wiser choice.